Then how do you like this apple? Fun, cheap, comfortable and safe stay in the very centre of St. Petersburg- all of that you can find in the Apple Hostel Italy! can also arrange city tours, bicycle hire, transfer... and so many more!!!! We are glad to offer you five new renovated rooms at our hostel. Each room has free of charge Wi-fi, new comfortable beds and individual safe lockers for valuables. We are in the middle of everything!!! 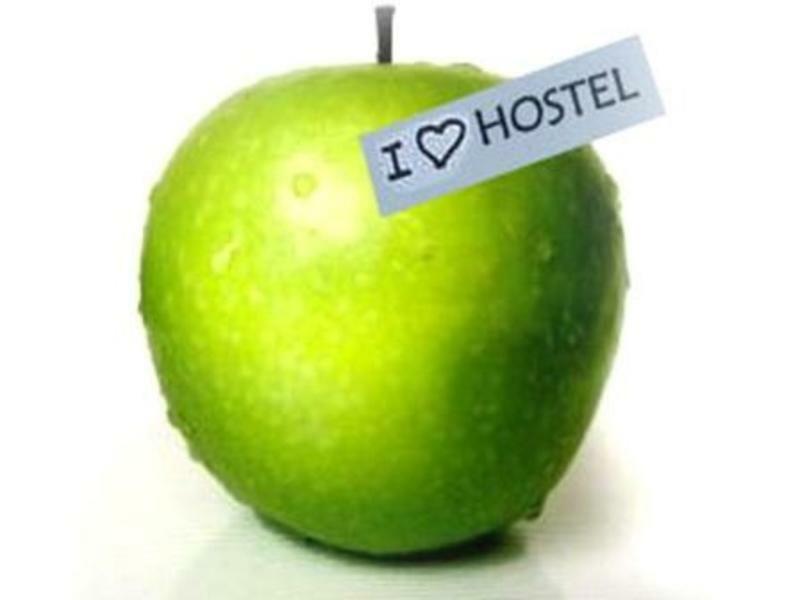 You will feel the very heart of the city if you stay in our hostel. Museums, cinemas, main city sights and attractions, pubs, bars, restaurants and cafes, gardens and channels are within walking distance from Apple Hostel. Two good public transportation are: city bus No. 13 (19 rubles) and mini-bus No. K3 (27 rubles). When you exit the airport, walk left and you will see the mini-buses queued on the curb closer to the building, and across the street is where the bus stops. Either will take you to metro station Moskovskaya. At Moskovskaya, buy a metro token (22 rubles) and go on the Blue Line to the Gostiny Dvor metro station. When you emerge from Gostivy Dvor metro, Sadovaya street is to your right. From here, walk north on Sadovaya until you reach the first cross street, which will be Italyanskaya. On the corner will be a restaurant called Baku. Our building is across the street on the northeast corner of Italyanskaya and Sadovaya. Turn right on Italyanskaya and walk approximately 30 meters until you reach a black iron gate. On the top lower number pad press #1945 and push the gate open. Follow the path and signs to the right to reach the front door and come up three flights to the front door of Apple Hostel. From Moskovskiy Railway Station: you can either go by metro till Gostiniy Dvor station, or you can get here by catching any public transport: bus, trolley (2 stops) till Gostiniy Dvor and then walk to Italyanskaya street, 12. From Sea Port: You should take a bus number 7 and reach the metro station 'PRIMORSKAYA' and go two metro stops, until you reach "GOSTINIY DVOR " metro station and then walk to Italyanskaya street, 12.